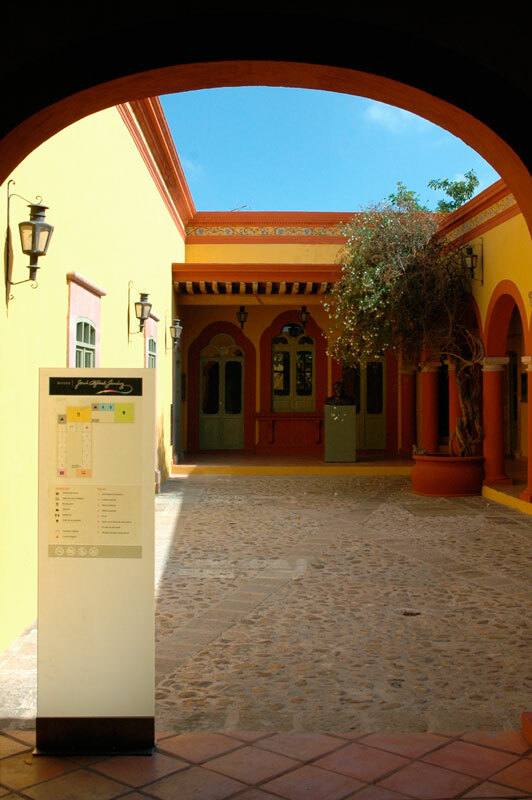 Located only a block away from the city’s main square, José Alfredo’s birth home, built in the middle of the XIX century, was one of the first stately homes in a zone which in June 1982 was declared a historic monument. 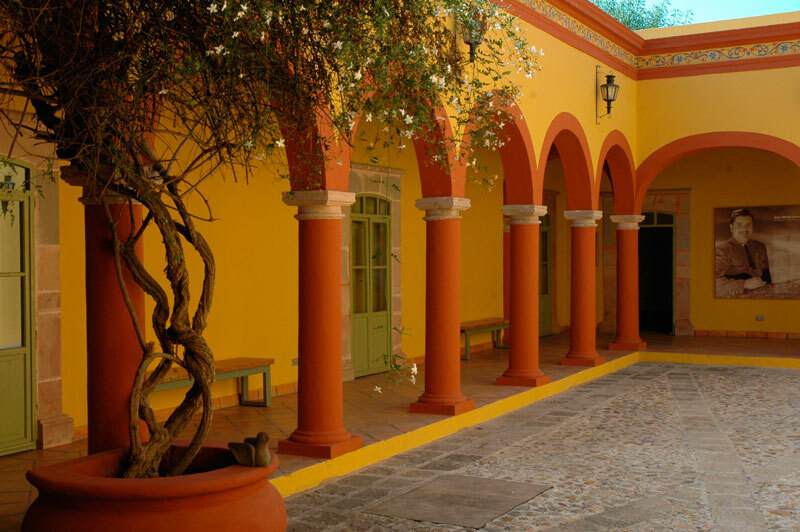 It is a typical and beautiful provincial house with rooms arranged around an ample courtyard, an orange grove in the back part, and, in another courtyard, a more intimate, almost secret grove. 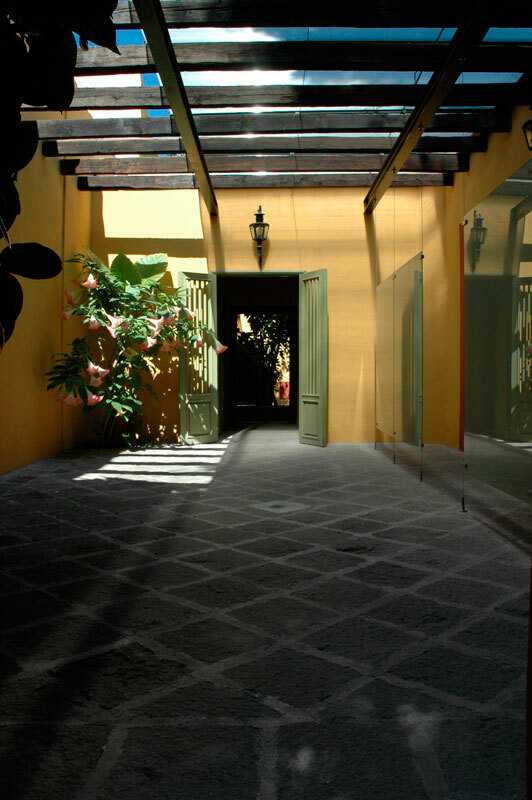 Its construction is made with solid adobe walls with wooden beams along the high ceilings, with colored wood frames the door frames and windows. 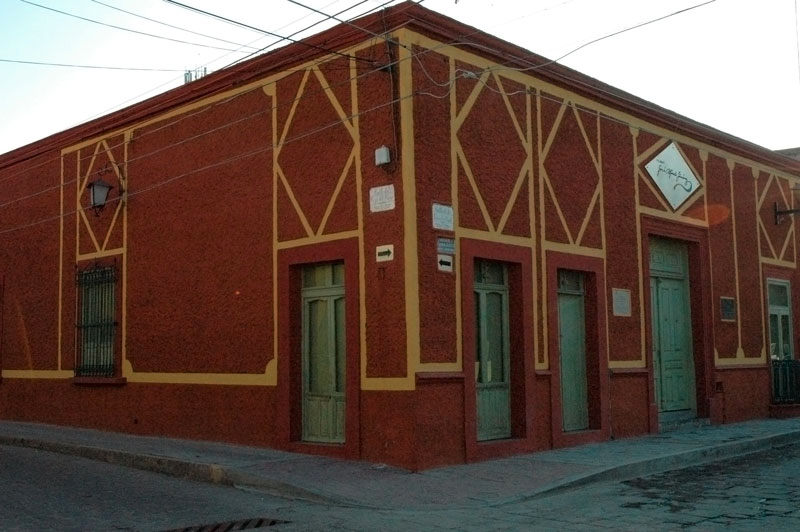 When José Alfredo’s father died, his mother was forced to sell the house which passed through several owners. 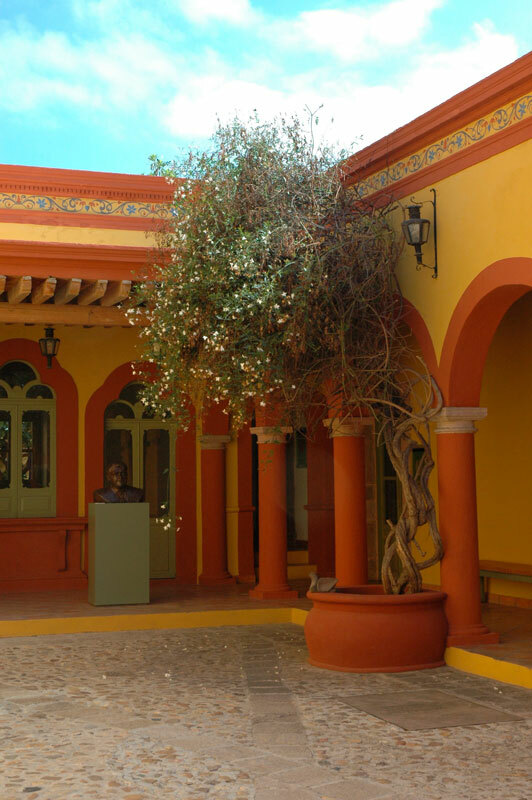 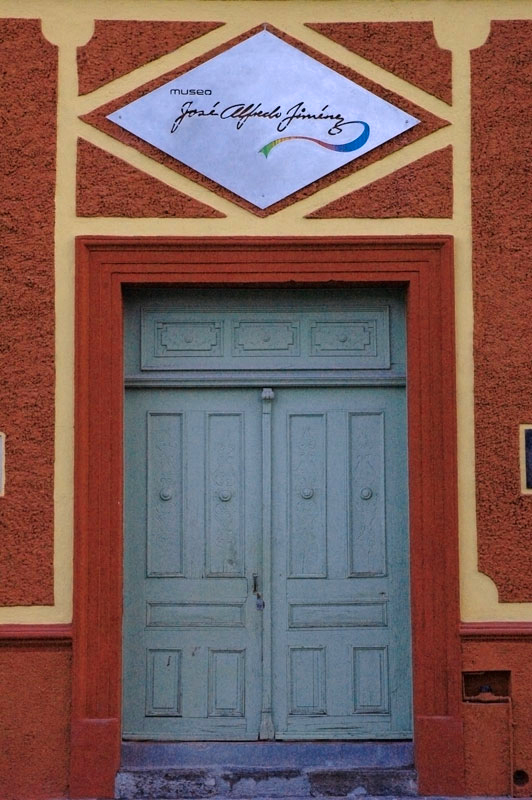 The diverse attempts made by José Alfredo during his lifetime to reacquire the property had no results, but in 1998 his family managed to buy it and, a short time after, under the direction of his daughter Paloma Jiménez Gálves, the works to turn it into a place dedicated to his memory began. 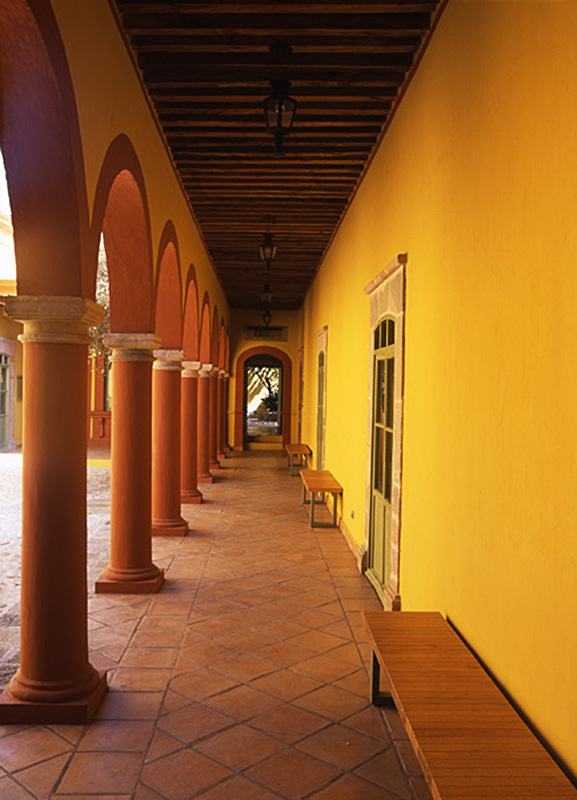 The restoration of the property to return to it its original characteristics was projected by the architect Enrique Arellano and realized by the architect Alan Wilkerson.